1. First of all open control panel in your system. 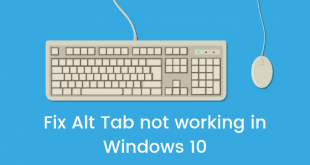 If you can’t locate the control panel press windows key + R then type “Control Panel” and hit enter. 2. Once you open the control panel click on hardware & Sound option. Now click on Device Manager under Device and Printers Option. 3. 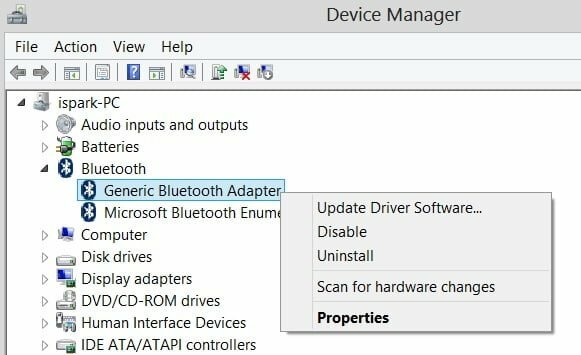 Once the device manager windows opens, expand the Bluetooth and right click on Generic Bluetooth Adapter. 4. 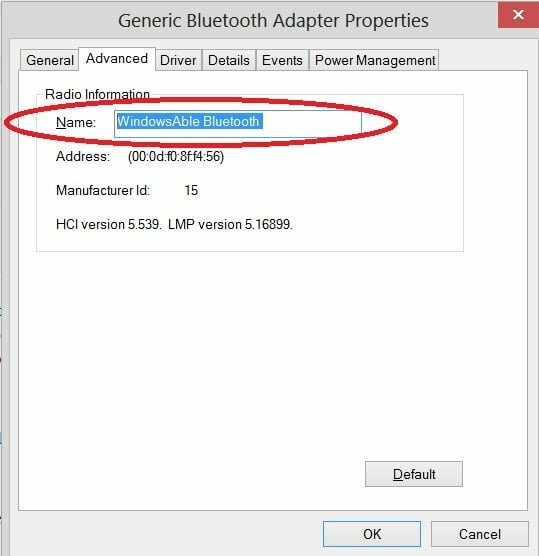 In the Bluetooth adapter properties windows click on Advance tab. You can update the Bluetooth name by changing the name under Radio Information. Choose the desired name and click Ok.
5. 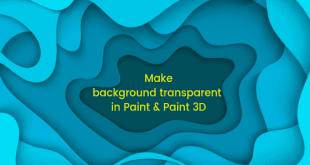 If you wish to revert to the default name, click on the default button present in the Advance tab. 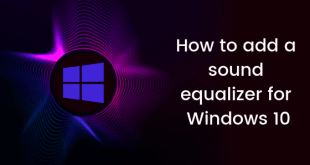 So, this is how you can change the Bluetooth Name in your windows 8 or 8.1 machine. If you are still unable to change the name on your system we suggest you to update the Bluetooth drivers of your system and then try again. In case your Bluetooth device is being turned off automatically by the system, visit the power management tab and uncheck the “Allow the computer….” Option. 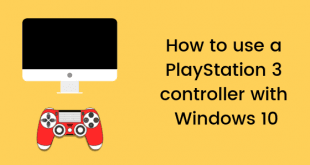 Once you do this the system will not turn off the Bluetooth adapter when you are not using it. Though we don’t recommend you to do this unless you are facing issues with your Bluetooth adapter. If you are still facing any kind of error or issue, feel free to drop a comment below and we will try our best to resolve your issue. In our upcoming post, we will share how to change the Bluetooth name of your Windows Phone. If you wish to stay updated about our upcoming posts or special stories, don’t forget to like us on Facebook.